If you’ve been approved for a car loan then you’re likely to encounter the term “lien,” but the chances you’ll know what it means may not be so great. A lien on a car is like a safeguard for the lender or other interested party. When you take out an auto loan, a lien is created, which is a lender’s legal right to possession of the vehicle until the loan is repaid. That means if you default on the loan, like failing to make payments, the lender can repossess the car, which acts as their collateral. Because the loan is secured against the vehicle, the lienholder can also insist the asset is protected, so the borrower is normally required to take out full insurance coverage – both collision and comprehensive insurance. With car loans, the lender usually files for a lien with the state department of motor vehicles. Besides being the lienholder, the auto lender will typically also hold the vehicle title. When the loan is paid off, the car lien is released. The process for this can vary by state but, generally, the lienholder sends a release document to the state DMV, where the title is updated and then sent to you. You may receive a copy of the lien release document from the lender, too. You now own the vehicle free and clear. When buying or selling a vehicle, a lien is something that deserves some attention to ensure there are no surprises after the transaction. Keep these tips in mind. Buying a new or used car from a dealership should be straightforward in this matter. You know a new car is unencumbered by a lien because you’re the first owner, while, for a used car, a dealer will have taken care of the paperwork if there was an outstanding lien on a vehicle now offered for sale. Purchases from private sellers can be different, so check the lien status before you buy. If the car still has a lien on it, the seller will need to make arrangements to pay off the loan so they can transfer the title to you. View the vehicle title for details of any past and current liens. The information on titles will vary from state to state. Ask the seller for a copy of the lien release document. Use the state DMV resources. There may be an online service available enabling you to run a vehicle check with the vehicle identification number (VIN) from the model you’re interested in. Alternatively, visit a DMV office. Get a vehicle history check with an online provider like CarFax or AutoCheck. Besides revealing any open liens, these reports provide details like whether the car was involved in an accident. There’s normally a charge for such services. As you can see, it’s possible to sell a car with a lien, just as long as you pay off the loan to release the lien and transfer the title. There are various ways to pay off the balance of an auto loan. One is to add to your normal payment amount over a number of months to pay down the principal faster. An auto payoff calculator could help to gauge how the figures play out, including what you might save in interest payments. Alternatively, you may want to pay what you owe in a single payment. You’ll need to get the payoff amount from the lender and follow their steps for making the payment. Another option is selling the vehicle to a dealership or private party and sorting out the payoff and lien arrangements at the same time. Taking the vehicle to a dealer is often simplest as they will work with you on the legal and financial steps. You’ll still want to check your payoff amount, as well as the value of your vehicle, beforehand in order to know whether the sale price will cover the payoff amount on the loan, and to negotiate a good deal. Selling your car to a private party puts the onus on you to handle the paperwork with the buyer. That could involve, for example, a joint trip to the lender’s office where the seller pays off the note, the lien is released and ownership is transferred. Another way to approach it is for the buyer to pay what’s owed on the loan to the lender themselves, and any other money required to meet the sale price is paid to the seller. Depending on the state, the lender may be able to send the new title directly to the buyer rather than it going to the seller, who would sign it over afterwards. Some protection for both parties to consider in the private sale process is using an escrow service. This enables the seller to check the buyer’s payment is legitimate and for the buyer to make sure the lien has been released before taking ownership of the vehicle. If you’re looking to change vehicles and need financing for a new or used car, apply for preapproval before you shop. 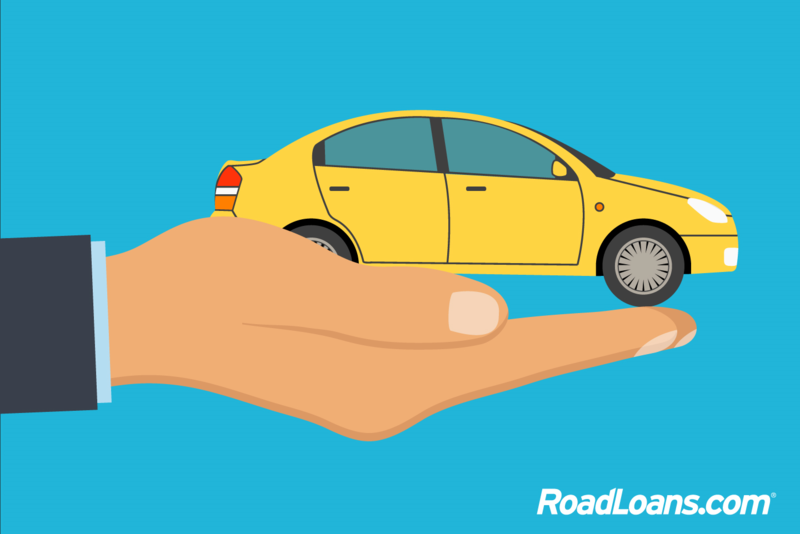 Online lender RoadLoans enables you to complete our short application in minutes and get an immediate decision. If approved, choose your next car, truck or SUV knowing just how much you have to spend, and that your financing is already in hand. As a full-spectrum lender, we accept applications from consumers with all credit types. Apply for a car loan and get an instant decision.